PROGNOSIS will be mainly implemented in the energy sector as an operational management approach for precise intra-hour forecasts of solar energy production through an open communication protocol. Additionally, it can be used as a service to large scale or aggregated PV managers, to provide them with the necessary information to predict their electricity production, information that system operators can then use for capacity management and scheduling. In the future, it could be used in Building Energy Management Systems as an integrated tool for forecasting energy production and demand from the building and in the further development and management of city-wide microgrids. 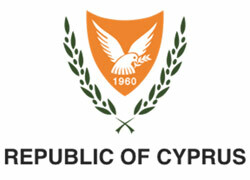 This project received funding under SOLAR-ERA.NET Cofund Joint Call and the Cyprus Research Promotion Foundation (KOINA/SOLAR-ERA.NET/1216/0014). PROGNOSIS is essentially a real-time decision making tool based on big data analysis. Based on this analysis, decision-making will be achieved for management, optimization and visualization of microgrids and electricity systems. 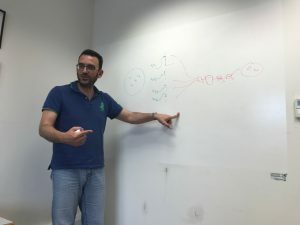 Development of a low cost computation model to forecast energy production from grid connected PVs using no other exogenous inputs than the power output of the PVs of the network. Provide increased flexibility to solar electricity supply since the forecast model will enable system operators to achieve optimum capacity management and scheduling. Provide additional profit to the operators of the PVs which are introduced to electricity markets since it will enable the operators of aggregated or large scale PVs to provide reliable amount of electricity. PROGNOSIS is a three partner transnational project (two research institutions and one SME), where each of the partners has great expertise in a scientific field relative to the project and possesses equipment and know-how which is not currently available to the other three partners. 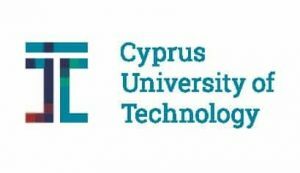 CUT, is a state University in Cyprus with a strategic target to design and develop research activities both within the University and in cooperation with other research Institutes in Cyprus and abroad. 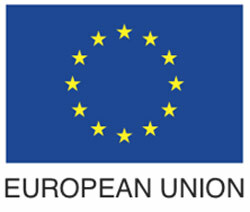 As a research institution, CUT has great experience in the participation and management of EU funded programs. Moreover, CUT’s personnel involved in the project have extensive experience in solar irradiance modelling, in developing predictive algorithms and correlation tools and in modelling solar energy systems, while they have been coordinators or partners in relevant research projects. IVE, is a private non-profit making foundation with public interest set up in October 1986. It is a research institute that seeks to improve the quality and sustainability in the construction process through the R&D&Ι in the built environment. IVE board includes regional government, professionals, developers, building contractors, end-users, in order to provide a platform for ideas exchange, developments and knowledge in the different fields of construction. IVE’s personnel involved in the project have extensive experience in GIS, in online platform development and visual representation of energy systems. Besides data from PVs, IVE brings their “Construction Prices Database” to the table which offers description and price consultations and technical specification reports thereby making it a reliable reference for decision making. JohnSun Heaters LTD was founded in 1988 with main orientation at solar water heater manufacturing and PV system design, installation and monitoring. The company’s philosophy is based on the manufacture of high efficiency solar systems with the use of the latest technologies in solar water heater manufacture. The company strives in being a pioneer in Cyprus solar market with continuous technological upgrades. JohnSuns’s personnel involved in the project have extensive experience in solar energy applications, especially in modelling, installation and monitoring of PVS and solar thermal systems. During the project, JohnSun will be providing technical assistance in the modelling of the PV systems and will also be responsible for the evaluation of the results of the project. 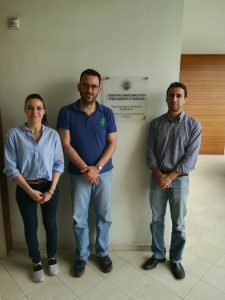 On Wednesday 25 April 2018 the first consortium meeting for the PROGNOSIS project was held at the Department of Environmental Science and Technology of the Cyprus University of Technology with the members representing the Instituto Valenciano de la Edificación (IVE) participating via video conference. During this meeting the expertise, capabilities and possible contributions of each of the partners were presented which then encouraged discussing and clarifying their role and responsibilities throughout the project. Furthermore, a common understanding of the objectives, the work packages and expected deliverables of the project was developed.